Jockey Ric McMahon has given Better Than Ready his seal of approval to chase Group One success in the autumn after his courageous win in the Keith Noud Handicap at Eagle Farm on Saturday. Better Than Ready, the $2.35 favourite, shouldered topweight of 60.5kg to win by a head from Benny's Buttons ($14) with Morning Captain ($8.50) a long neck away third. McMahon has been aboard Better Than Ready in all of his eight wins and is hoping to retain the ride when trainer Kelly Schweida takes him to Melbourne in the autumn for the Group One Oakleigh Plate (1100m) at Caulfield. "In Melbourne he'll be down in the weights so that will give him the chance to show his good turn of foot and he'll be very competitive," he said. "I love him, he's my favourite horse by far. I've won eight races on him and he goes really well for me." McMahon had Better Than Ready travelling comfortably in fourth spot before bringing the four-year-old with a well-timed finish in the straight. "On paper it looked average speed and they went out even slower than I thought they would," McMahon said. "We were always going to be positive out of the gates even though he had an awkward barrier but, as it turned out, everything worked out in our favour." Schweida won't be tempted to extend Better Than Ready's campaign through the summer months. "The main purpose of giving him these two runs this prep was to stop him getting too fat before the autumn," he said. "Because he's a stallion he gets too fat too quickly but he's done his job for us now so he'll go for a break now." While Better Than Ready raced close to the speed, Schweida believes he'll be more effective ridden further back in a race. "It's probably not the best way to ride him having him up close and it was his class that got him home today," he said. Michael Cahill praised the courage of Benny's Buttons to stretch Better Than Ready in the final stages. "I felt he was starting to fight back towards the finish and it was no disgrace to be beaten by the winner who's a very good horse," Cahill said. Hoylonny (Lohnro - Roedean) explodes away from his opposition in the 1900m Hcp at Rosehill. 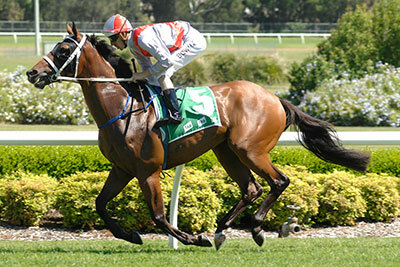 Hoylonny returned to very best today as he scored an impressive win at Rosehill Gardens. Ridden perfectly by Peter Robl, Hoylonny won as he liked in a display reminisent of old. He scored in the time of 1.58.96 for the 1900m and his last 600m in 34.93sec. Hoylonny has now amassed $379580-00 for his connections. 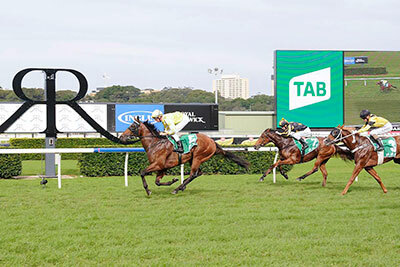 Trainer Kelly Schweida breathed a huge sigh of relief after his star galloper Better Than Ready showed he was back on track with a slashing win at Eagle Farm on Saturday. In a race run at blistering pace, $3 favourite Better Than Ready lumped 60.5kg to beat Rocky King ($4) by 1-3/4 lengths with 2-3/4 lengths to Steel Zip ($17) in the Club Super Open Handicap (1000m). The race time of 56.9 seconds was exceptional for 1000m at Eagle Farm into a headwind. The leader-timed final 600m was run in 33.7 seconds which meant Better Than Ready got home in just on 33 seconds - a staggering effort under such a big weight. Better Than Ready was having his first start since he finished last in the Group One Stradbroke Handicap in June but in between times he had been badly injured in a trackwork gallop. Schweida had been planning to take Better Than Ready to Melbourne for the spring carnival but in early October the four-year-old stallion shied during a workout at Doomben and ploughed through a fence. He suffered a chest wound which required eight stitches and also needed treatment to a testicle which had been driven into his body. "He really was badly hurt and we were lucky to still have him with us," Schweida said. "Yes, it was a relief to see him do that today and to know he is back at his best." 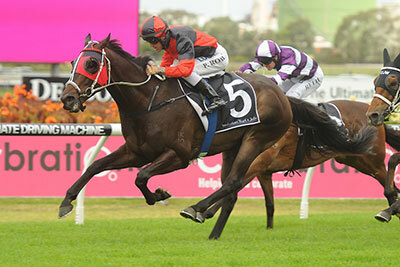 Better Then Ready will have only one more run this year in the Listed Keith Noud Quality (1200m) at Eagle Farm on November 23. "We will then give him a break and come back for the Group One races such as the Oakleigh Plate and VRC Newmarket in the autumn. He deserves a chance in those race," Schweida said. Win number two for Triple Fortune as he continues to show his love of the Canterbury surface. Perfectly ridden by Hugh Bowman the gelding scored a nice win over 1250m in the time of 1.13.44. Today at Randwick saw a fantastic group 1 in the Golden Rose. Edinburgh Park bred Bull Point was the talk of the racetrack after the race as he missed the start by some 3 lengths and was giving the leaders some 15 lengths as they approached the turn at the top of the straight. The race was eventually won by Zoustar but Bull Point exploded down the Randwick straight and was only beaten by 1.8 lengths in finishing 3rd in the Group 1 race. 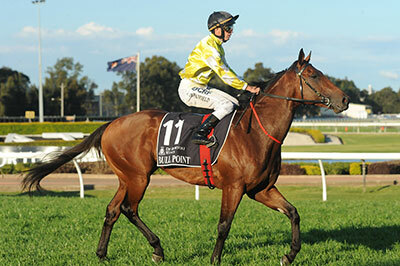 Bull Point will now be speeled and set for the rich Sydney Autumn carnival. Bull Point showed he was a class above today in the Forum Group 2yo Open Handicap at Rosehill Gardens. Ridden by Nash Rawiller the Fastnet Rock colt exploded away from the field at the top of the straight and won with ears pricked by 3 lengths in a time of 1.12.72 sec. The colt will now be aimed at the Golden Rose in September. Quality prevailed when talented three-year-old Eximius overcame a tough run on unfavoured ground to claim the Listed Sunshine Coast Guineas (1600m). 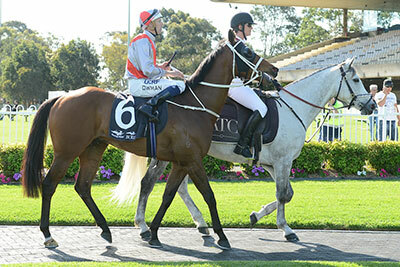 Queensland was the third stop in a campaign that started at Moonee Valley in late March but also took in races at Randwick and Hawkesbury on his way north. Trainer Mick Price decided to give the son of Exceed And Excel a chance on the wet ground, despite the colt missing a place in terrible conditions in the Listed South Pacific Classic in Sydney, but the decision paid off when the three-year-old notched his second stakes win in the $100,000 contest. Eximius began moderately to end up three and four-deep back in the field early in the race but jockey Larry Cassidy decided to allow the chestnut to creep forward throughout the middle stages of the race. 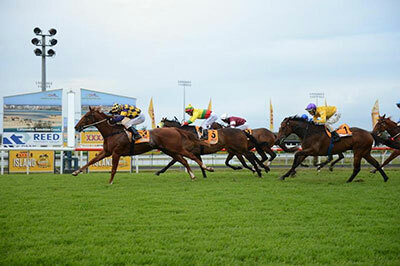 Cassidy had Eximius close enough to strike rounding the home turn before the solid performer outslugged his opposition in the wet ground to score a decisive win by three-quarters of a length. The jockey said Eximius showed plenty of fight on the track but added he was confident a wide run would not harm the horse’s chances of a second stakes success. "I could sense from Mick's tone of voice that he wasn't convinced it was a good idea to run him on the heavy track," Cassidy said. "But I told him I was happy to be drawn wide because I was certain the going would be far better well off the fence by the last race of the day." 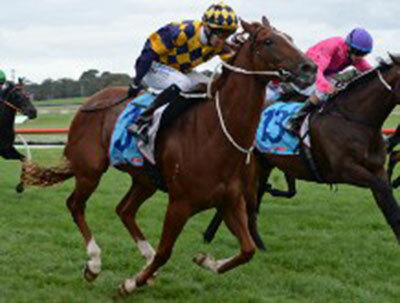 Eximius also won the Listed Hilton Hotels Stakes (1400m) at Flemington during the 2012 Melbourne Cup Carnival. 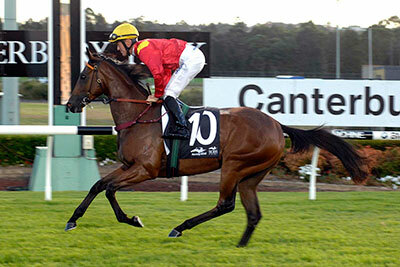 The Sunshine Coast Guineas win was his fourth from 13 starts and took his earnings to more than $279,000. Congratulations to Eximius's owners - Rockmount and Mrs L Richards. Bull Point scores impressively on debut at Randwick headquarters. 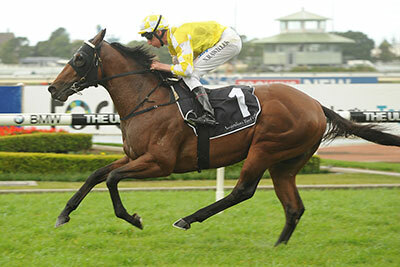 Bull Point (Fastnet Rock - Rose of Cimmaron, 2012 Magic Millions $960000-00) scored impressively on debut TAB.COM.AU 2yo Hcp at Randwick. The colts trainer Gai Waterhouse had the him looking magnificent and was perfectly ridden by Nash Rawiller. The colt scored by 2 lengths in 59 sec over the 1000m journey . At Eagle Farm, Vinery Stud shuttler & former Australian Champion 2YO Sire More Than Ready (Southern Halo-Woodman's Girl, by Woodman) added a stakes success when exciting sprinting colt Better Than Ready (More Than Ready-Sally's World, by Agnes World) scored by 1.3-lengths for trainer Kelly Schweida in the $100,000 Listed Mick Dittman Plate (1000m) for 3YOs, over the gelding Rocky King (Easy Rocking-Jazz Heaven, by Celestial Bounty) & the filly Little Favours (Falvelon-Chicken Little, by Telesto). Originally a $120,000 weanling consigned by Edinburgh Park at the 2010 Magic Millions National Sale & subsequently a $140,000 yearling consigned by Newgate Farm at the 2011 Inglis Easter Sale in Sydney, Better Than Ready took his record to 6 wins (including the Listed Falvelon Handicap over 1200m in Feb 2013, Listed Brian Crowley Stakes over 1200m in October 2012) & 2 placings from 10 starts for $328,000 earnings. Tenacious three-year-old Eximius will get another shot at Black Type company after returning to the winner’s list today at Sportingbet Park (Sandown). The son of Exceed And Excel closed out the quality eight-race midweek card with a strong win against the older horses under 57.5kg in the $35,000 Drum Theatre Handicap (1400m). The victory atoned for a luckless first-up effort at Moonee Valley on 22 March, when ridden by Glen Boss, and convinced Price to press on to the South Pacific Classic at Randwick on Doncaster Mile Day. “This was a good option for him,” Price said. “I didn’t want to run him in the 1500m (at Moonee Valley) on Saturday, I wanted to run him here because I thought it was a reasonable race with the older horses and he had a bit of weight. Just like he did in the Hilton Stakes (1400m) at Flemington on Emirates Stakes Day, Eximius turned in a tough on-pace display to get the money. Eximius, who was heavily supported from $6.50 to $4.80 in the final minutes of betting, scored by a long neck from Lightenuff ($17). Chris Waller-trained import Fulgur ($8.50) hit the lone strongly to finish third, a further half-length away. Triple Fortune scored a good win in the Vale Ian Anderson Handicap over 1250m in the time of 1.13.81. Trained by Chris Waller and ridden by Hugh Bowman, the horse secured his first win for the owners. Triple Fortune was a $65000-00 purchase (Snowland - In A Tiz) from the 2011 Inglis Classic Sale. Shy returning to scale after her tough debut win.